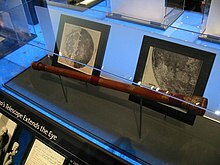 Prior to Galileo's construction of his version of a telescope, Thomas Harriot, an English mathematician and explorer, had already used what he dubbed a "perspective tube" to observe the Moon. Reporting his observations, Harriot noted only "strange spottednesse" in the waning of the crescent, but was ignorant to the cause. Galileo, due in part to his artistic training and the knowledge of chiaroscuro, had understood the patterns of light and shadow were, in fact, topographical markers. While not being the only one to observe the Moon through a telescope, Galileo was the first to deduce the cause of the uneven waning as light occlusion from lunar mountains and craters. In his study, he also made topographical charts, estimating the heights of the mountains. The Moon was not what was long thought to have been a translucent and perfect sphere, as Aristotle claimed, and hardly the first "planet", an "eternal pearl to magnificently ascend into the heavenly empyrian", as put forth by Dante. 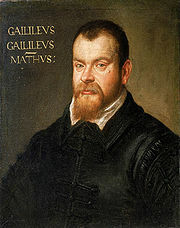 Galileo is sometimes cred with the discovery of the lunar libration in latitude in 1632, although Thomas Harriot or William Gilbert might have done it before. 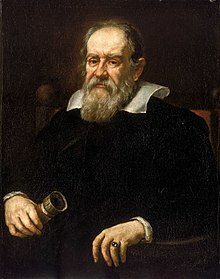 Galileo is lesser known for, yet still cred with, being one of the first to understand sound frequency. By scraping a chisel at different speeds, he linked the pitch of the sound produced to the spacing of the chisel's skips, a measure of frequency. 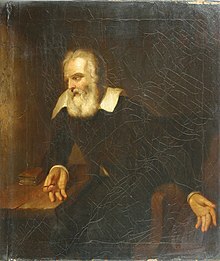 In 1638, Galileo described an experimental method to measure the speed of light by arranging that two observers, each having lanterns equipped with shutters, observe each other's lanterns at some distance. The first observer opens the shutter of his lamp, and, the second, upon seeing the light, immediately opens the shutter of his own lantern. The time between the first observer's opening his shutter and seeing the light from the second observer's lamp indicates the time it takes light to travel back and forth between the two observers. 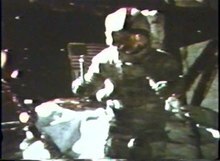 Galileo reported that when he tried this at a distance of less than a mile, he was unable to determine whether or not the light appeared instantaneously. 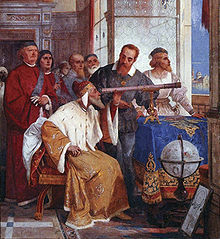 Sometime between Galileo's death and 1667, the members of the Florentine Accademia del Cimento repeated the experiment over a distance of about a mile and obtained a similarly inconclusive result. We now know that the speed of light is far too fast to be measured by such methods (with human shutter-openers on Earth). 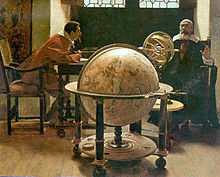 The Galileo affair was largely forgotten after Galileo's death, and the controversy subsided. 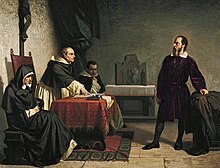 The Inquisition's ban on reprinting Galileo's works was lifted in 1718 when permission was granted to publish an ion of his works (excluding the condemned Dialogue) in Florence. 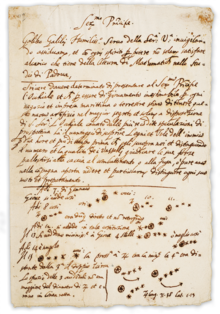 In 1741, Pope Benedict XIV authorised the publication of an ion of Galileo's complete scientific works[e] which included a mildly censored version of the Dialogue. 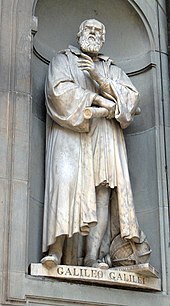 In 1758, the general prohibition against works advocating heliocentrism was removed from the Index of prohibited books, although the specific ban on uncensored versions of the Dialogue and Copernicus's De Revolutionibus remained. All traces of official opposition to heliocentrism by the church disappeared in 1835 when these works were finally dropped from the Index. 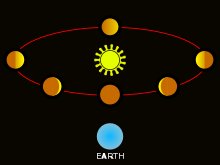 ^ Heilbron (2005, p. 307); Coyne (2005, p. 347) The practical effect of the ban in its later years seems to have been that clergy could publish discussions of heliocentric physics with a formal disclaimer assuring its hypothetical character and their obedience to the church decrees against motion of the earth: see for example the commented ion (1742) of Newton's 'Principia' by Fathers Le Seur and Jacquier, which contains such a disclaimer ('Declaratio') before the third book (Propositions 25 onwards) dealing with the lunar theory. ^ McMullin (2005, p. 6); Coyne (2005, p. 346). 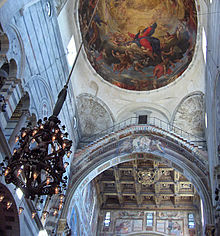 In fact, the Church's opposition had effectively ended in 1820 when a Catholic canon, Giuseppe Settele, was given permission to publish a work which treated heliocentrism as a physical fact rather than a mathematical fiction. The 1835 ion of the Index was the first to be issued after that year. Clagett, Marshall (or & translator) (196). Nicole Oresme and the Medieval Geometry of Qualities and Motions; a treatise on the uniformity and difformity of intensities known as Tractatus de configurationibus qualitatum et motuum. Madison: University of Wisconsin Press. ISBN 978-0-299-04880-8. Koestler, Arthur (1990) . The Sleepwalkers: A History of Man's Changing Vision of the Universe. Penguin. ISBN 978-0-14-019246-9. Original ion published by Hutchinson (1959, London). Linda Hall Library features a first ion of Sidereus Nuncius Magna as well as a pirated ion from the same year, both fully digitised.